Roosebeck 32.5 Inch Travel Lute 8 Course Padded Gig Bag. Padded Gig Bag Included. 15 Strings. 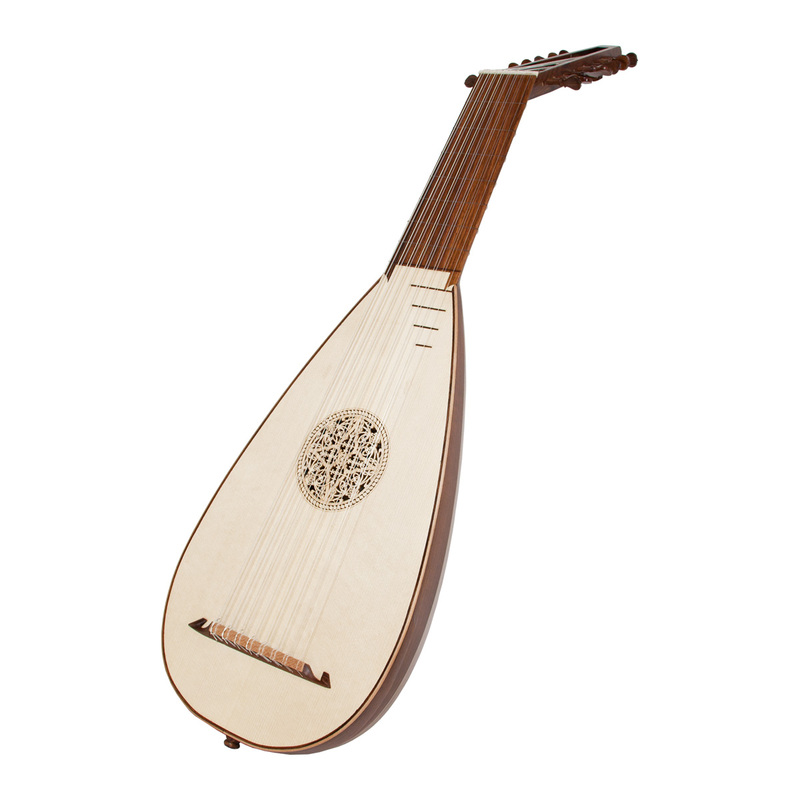 The sheesham travel lute has a body made of eleven solid sheesham staves, a sheesham neck and sheesham fingerboard. The peg box is solid sheesham attached at an angle of 135 degrees to reduce the depth of the instrument. The tuning pegs and end pin are sheesham. The soundboard is made out of European spruce. There are eight nylon frets and four sheesham frets. The recommended tuning is G2 G3 A2 A3 D3 D4 G3 G3 B3 B3 E4 E4 A4 (Gg Aa dd' gg bb e'e' a'). A padded gig bag is included. Weight: Approximately Without Gig Bag: 0.79 kg or 1.75 pounds.